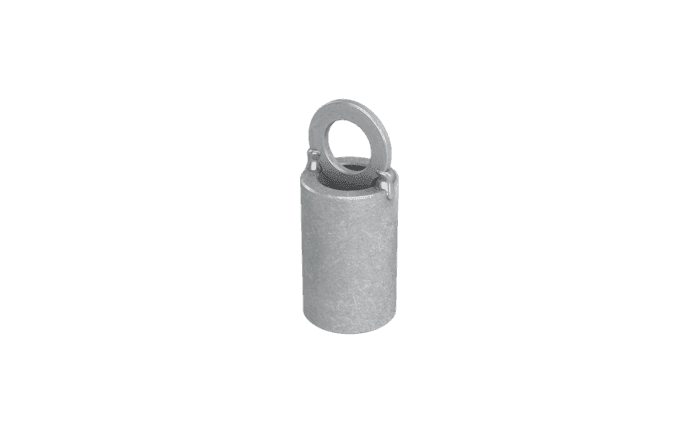 Simply screw this sleeve onto an ABS-Lock X-Durch anchorage point to facilitate installation: Thanks to this installation aid, you can simply pull the anchor up through the bore hole to complete the installation. The base and counter plates of our particularly strong ABS-Lock X-Durch anchorage point can be installed on a variety of different concrete subsurfaces: You can install it in a suspended ceiling as well as lightweight or porous concrete. Use an optional ABS-Lock X-Durch Sleeve to reduce the installation effort on your roof surface to a minimum. Our ABS-Lock X-Durch Sleeve is simply screwed on top of the anchor rod to provide an eyelet which can be used to attach a cable or load-bearing rope which you have already fed down through the bore hole. Now all you have to do is pull on the cable or rope to bring up your ABS-Lock X-Durch anchor - no need for all the fuss caused by having to use a hydraulic ramp or a crane! Our Team would be happy to help you with planning your installation and can offer you the support of an experienced installation team. From the initial planning stage to your final inspection, ABS Safety is the partner to contact for all your questions on how to protect your workers from falls.